In the art of feng shui there are a large number of talismans, with which you can attract good luck and all the desired benefits. Each character in Feng Shui has its strength, so choosing a talisman for the house, you need to know the value of the talisman. Choosing your talisman, it is important to proceed from your goals. Feng Shui figurines are selected in accordance with what you want to attract into your life. In addition, it is important where you store your talisman. In Feng Shui, the entire space of a house is divided into zones or sectors, each of which is responsible for a certain area of ​​life. So if you want to attract good luck in your work, then your chosen talisman should stand in the career sector. 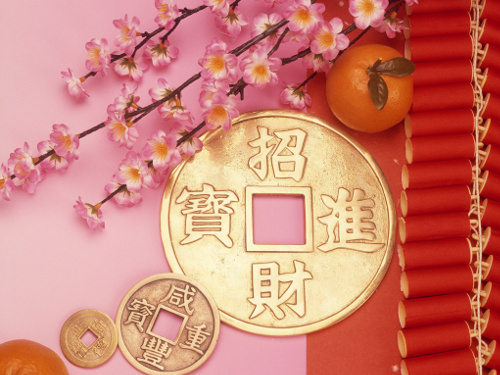 It is a symbol of monetary prosperity and wealth. It is recommended to store it in the hallway. It should be positioned so that her face was turned to the center of the house. It is believed that the toads are afraid of heights, so you should not put this talisman on a tall cabinet or shelf. The three-legged toad is an excellent talisman for those who want to attract money to the house. The figure of a horse is a mascot of career, fame and popularity. It is important that this statuette be directed upwards. It is recommended to keep it in the southern part of the house, in the career sector. Also, this feng shui talisman will help attract positive changes in life and well-being in everything. The value of this mascot on feng shui — strength, energy and success. Phoenix will help and attract money, and make a career. This figurine should be located in the southern part of the house. The elephant in Feng Shui is a symbol of good luck. It needs to be put not a windowsill — so it will attract good luck through the window. It is important that the trunk of this talisman be lifted up. Feng shui mandarin ducks are the talismans of loyalty and love. This is a great family amulet. It is best to place this symbol in the southwest bedroom, in the zone of love. This mascot is very popular around the world. The money tree attracts wealth and stimulates a steady increase in income. It is a symbol of prosperity and abundance. It should stand in the southeastern sector, in the money zone. The dragon in Feng Shui personifies wisdom, calm and harmony. If you are missing all this in life, then this talisman is for you. In addition, the dragon brings good luck in business. Keep it should be in the eastern part of the house. This talisman attracts good luck in business. He gives special patronage to those. Who is engaged in trade. Sailboat attracts money and success in work. It must be kept either at the window or at the front door so that its nose is facing the center of the house. In Feng Shui, the talisman tortoise personifies health, wisdom and longevity. This symbol protects against all adversity, unpleasant people and cleans the space. It is best to put the turtle in the northern part of the house. Fan in Feng Shui is a strong talisman against negative energy. Hang it on the wall, and it will clean your house of negative energy and create a cosiness and an atmosphere of good. This is a symbol of home protection. It is recommended to put them in the hallway. Fu dogs must necessarily be two, so they will symbolize the balance of yin and yang energies. This symbol brings well-being into the home and protects against all misfortunes. This talisman is used to harmonize the atmosphere in the house. Hang the wind music over the door so that when you enter the room, you can hear a wonderful healing chime.